BBQ Seasoning - homemade seasoning for chicken, pork or beef. SO much better than the store-bought stuff! Salt, brown sugar, paprika, sugar, garlic powder, onion powder, black pepper and dry mustard. Will keep for 2 months. A MUST for all your summer grilling! Memorial Day is right around the corner. I am already testing out my menu. I decided to make my own BBQ Seasoning this year. 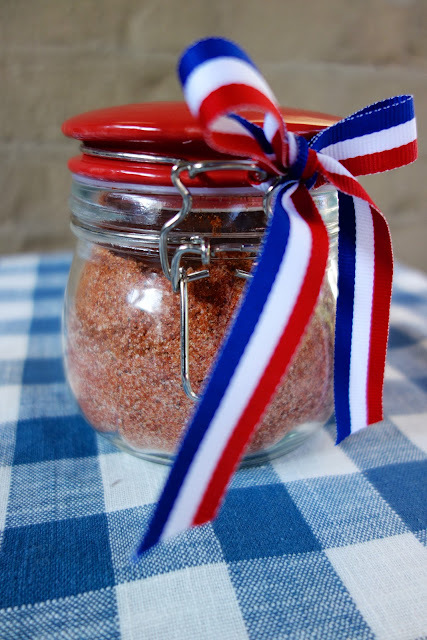 I love to make my own seasonings because you can control the amount of salt and other ingredients. 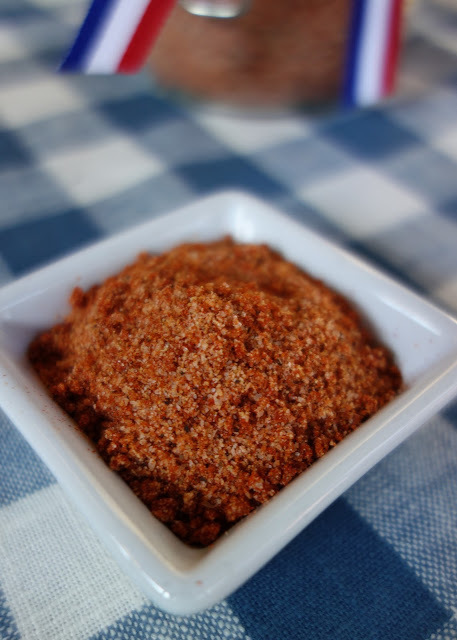 This is great sprinkled on chicken, pork or even burgers. It will keep for several months in an air-tight container. 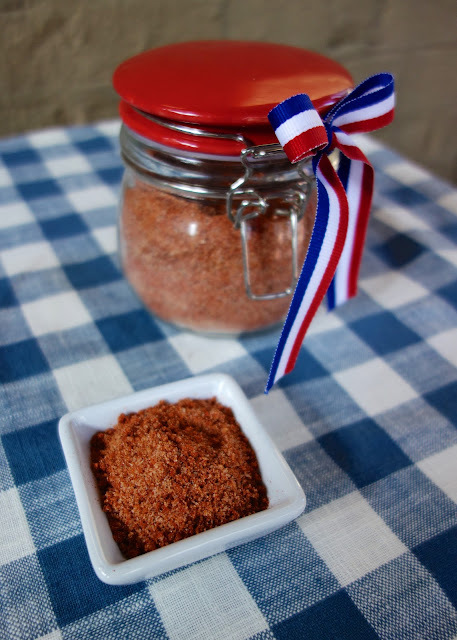 This BBQ seasoning is easy to make, and it makes a great hostess gift or takeaway gift for your guests at your Memorial Day BBQ. Whisk together all ingredients and store in an air-tight container for up to 2 months. Your selection of spices is really nice. I am sure it is very flavorful. Thanks for sharing. I love to make my own seasonings. I haven't seen a BBQ one before. Great idea as a leave behind hostess gift. Thanks! I made this yesterday when I got home from work. I marinated some pork chops in Coke Zero for a couple of hours and then patted them dry and rubbed in the BBQ seasoning and put them on the grill. We were really pleased with how they turned out. Thanks! The smoked paprika makes all the difference, doesn't it? Chris - YES it does!